How many of life’s lessons do you learn through the "school of hard knocks"? They make great testimonies, if you survive them, but it’s not recommended. There’s a much less painful way to learn: Just study the examples God gave us in His Word. 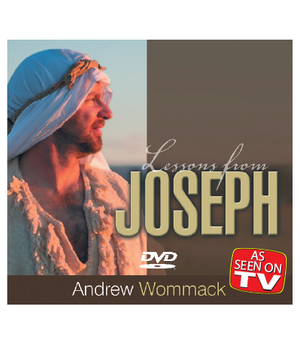 Joseph is one of the greatest examples of godly character and integrity in the Bible. Joseph’s life began with a dream. There was power in that dream; it kept him focused through difficult times and restrained him when faced with temptations. Do you have a dream (vision or purpose)? Listen as Andrew teaches about the power in a dream. It will leave you determined to know God’s will for your life. “As long as you can live without knowing His will for your life, you will!" Joseph was sold into slavery, but he wasn’t a slave. He had something on the inside that couldn’t be bought or sold. He knew what God had declared about him. You may be surprised at what that was. If you have ever felt like a slave to your job, your family, or a person, this teaching is for you. “You’re only a slave if you’re a slave at heart." It’s easy to seek God when times are tough. But most Christians relax when things are good. It could have happened to Joseph, because in one inspired moment, God took him from rags to riches and from the pit to the palace. Learn what kept him close to God in the midst of such power and wealth. “Prosperity and success is an infinitely greater test of character than difficulty." Sometimes love may not seem very loving. God had something He wanted to accomplish in the lives of Joseph’s family, and Joseph would be the tool. What may have seemed harsh was really an act of love. 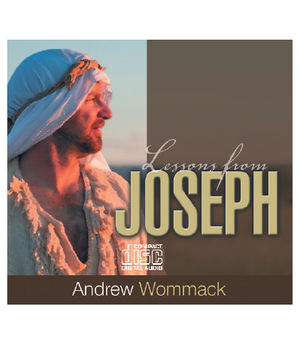 Listen as Andrew teaches on this very important subject.